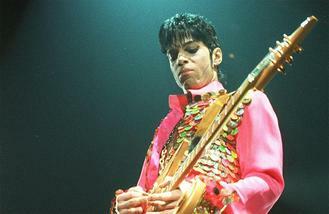 Prince's music is at the centre of a row between Universal Music Publishing Group and Tidal. The late 'Purple Rain' hitmaker's estate agreed earlier this week to sell the singer's songwriting rights to Universal - meaning his music could become more widely available to stream - but the Jay Z's company have insisted they have exclusive rights to the work. According to the New York Post newspaper, Tidal - who put out Prince's final albums, 'Hit n Run Phase One' and 'Hit n Run Phase Two' -- began lobbying a Minnesota court before the Universal deal was struck, claiming the '1999' singer had granted them exclusive rights to his catalogue of master recordings. Last month, Tidal submitted a legal letter to probate court Judge Kevin Eide and claimed they would seek injunctive relief if any deals struck by Prince's estate - which still has ownership of his songs - violate the agreement they made with the star. According to Tidal, Prince had agreed to grant them streaming rights to a 'Hit n Run' remix album, another new LP and the rights to his back catalogue. In 2015, the singer - who died from an overdose in April - pulled all his music from other streaming apps such as Spotify. The Raskins, a a band who supported Motley Crüe on a US tour in 2014 are suing them for $30 million. Zayn Malik is reportedly in talks for a guest acting role in the boyband TV drama he's producing. Bruce Springsteen will perform at a Presidential rally on Monday, the evening before Election Day. Green Day dedicated their 2004 hit 'American Idiot' to Donald Trump at last night's MTV EMA awards. The first headlienrs of Isle of Wight Festival 2016 have been unveiled as the mighty Arcade Fire. Two Door Cinema Club have revealed the band almost "broke down" during the making of new album 'Gameshow'. Blink-182 will tour the UK in July. Rihanna posted a touching message to celebrate her grandfather's 88th birthday on Saturday (05Oct16). Susan Boyle has praised Simon Cowell as a "genius".